I got a decision day rehab for 25 days. Frykcenter was an option for the tretment. When I call there to make an appointment for treatment, the subject come to the accommodation. Training takes place between 09:00 and 16:00. But where will I stay? My home is in Stockholm 350 kilometres away. 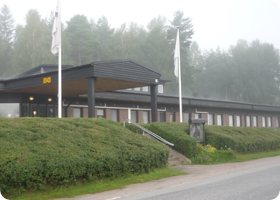 Frykcenter is certainly a facility for inpatient rehab with accommodations. My referral said day rehabilitation. So at Frykcenter I could absolutely not sleep. It's a bit far to commute 700 km each day i told them. But they cold not help me. I called the officer who signed the decision. I ask her why Torsby was included as an option when there is no accommodation. The answer I got was that, maybe I had a grandmother there that I might could live with. Then I was angry for real. I told her to take a new official decision about my rehab where I could get to sleep at nights. If the facility is located so far from the where I live in so it will be expensive with transport every day. It may not be economically viable for the community. She tells me that WE can´t change OUR decision. When I ask her who are WE, I din not get a direct answer. I ask her if perhaps she's WE. Nail on the head. I asked her if I had done something wrong, or if she just thought I was ugly? Ten minutes later, WE had adopted a new decision. I got 19 days in-patient rehab. I pack up the things I need for almost three weeks in rehab and drive there in my own car. I did not want to mess more with WE about transport. Today, +15 days after stem cell treatment. 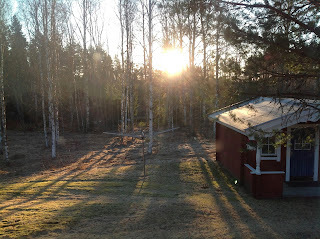 We went to our summerhouse today Every spring we need to start up the house We use to do it every Easter. This year we skipped it. It was to much snow left. The aim was - leave the snow to the sun... Most oft the snow is gone at 1th of May. This is a very late spring. In the afternoon we were at site. Then the work with water, heat and cleaning started. I was in my feet all day. Not tired at all. I drove my car for 350 kilometres, and I did not use the crutch any time in all day. It is to early to make any conclusions, but it looks good. I feel like a Prince.